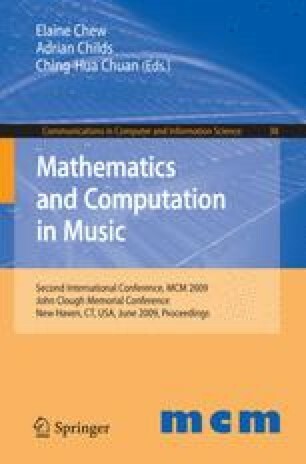 In this article we will propose a new approach for music description, based on the connection between the symbolic (logic) level and the signal level. This approach relies on the possibility of representing sounds in terms of types inferred by some low-level descriptions of signals and subsequent learning stages. We will present simple type theory and we will introduce a twofold process to create aggregate representations with different degrees of abstraction thus making possible to describe and manipulate music at variable conceptual levels.